FreshLook COLORBLENDS are available in Blue, Green, Grey, Brown, Honey, Turquoise, Amethyst, Pure Hazel, True Sapphire, Sterling Gray, Brilliant Blue, and Gemstone Green. 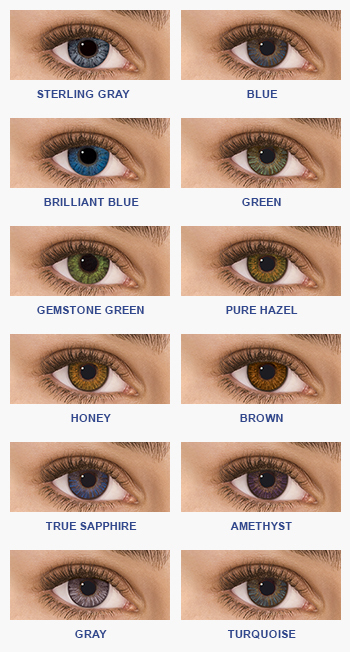 Want to find the right color to enhance your own eye color? See the FreshLook Color Guide opens in a new window. FreshLook COLORBLENDS® feature a unique, patented, technology that provides the most natural color change of any lens.